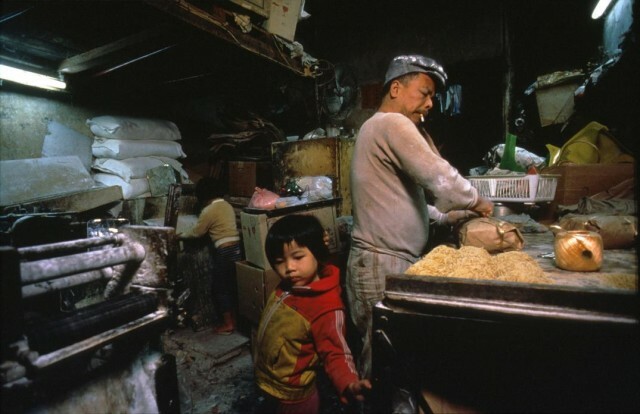 In the late 80s and early 90s photographer Greg Girard documented the last years of Kowloon Walled City, a notoriously overcrowded and lawless Hong Kong enclave in which 33,000 people were crammed into a monolithic structure made up of 300 tightly packed, interconnected high-rises. 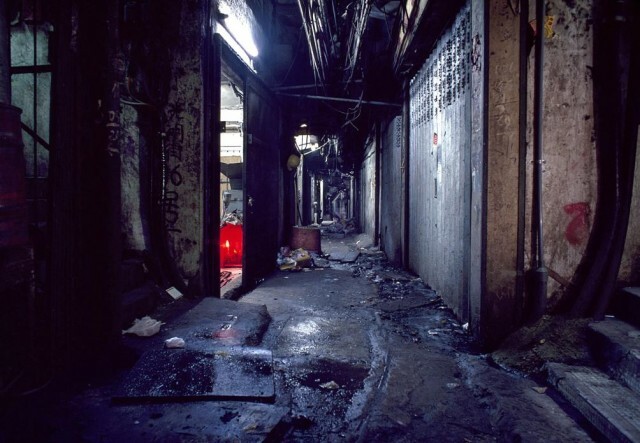 Girard collaborated with fellow photographer Ian Lambot during the five-year project to produce a photo book on the enclave, City of Darkness: Life in Kowloon Walled City. 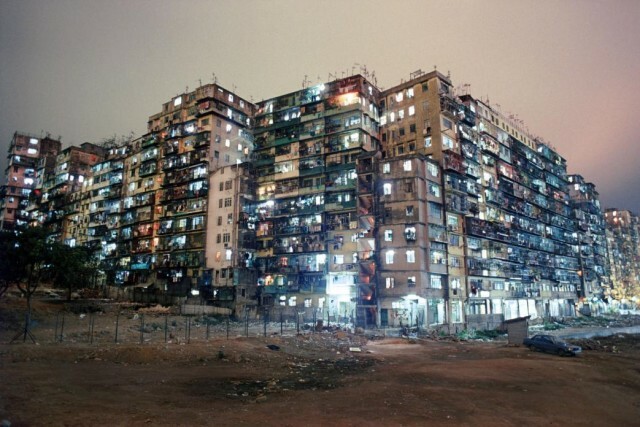 Starting in 1991, Kowloon Walled City was gradually cleared of its inhabitants, and demolition was completed in 1994. For more photos see Girard’s photo gallery.